Joyetech eMode Control Head, as the central part of eMode starter kit, is what brings the product together and makes it the eMode. Only works with eMode e-cigarette! The eMode control head is key to emode starter kit. By connecting it with computer, you can access multiple modes and options. The main button and voltage regulation ring also control the running of the eMode, while the indication lamps display which mode you are currently vaping at. • It only works with eMode e-cigarette. II received one of these for my birthday and have now used it for about 4 weeks. I have to say that it has grown on me a great deal over that time. This is probably the most "feature rich" mod available on the market and it takes a little getting used to. Firstly if you look at reviews of this on Youtube, PBusardo in particular gave this a mixed review. His points are fair enough but there have been changes made in a firmware update that resolve most of the issues. I will divide the review into the key areas that are important to me. 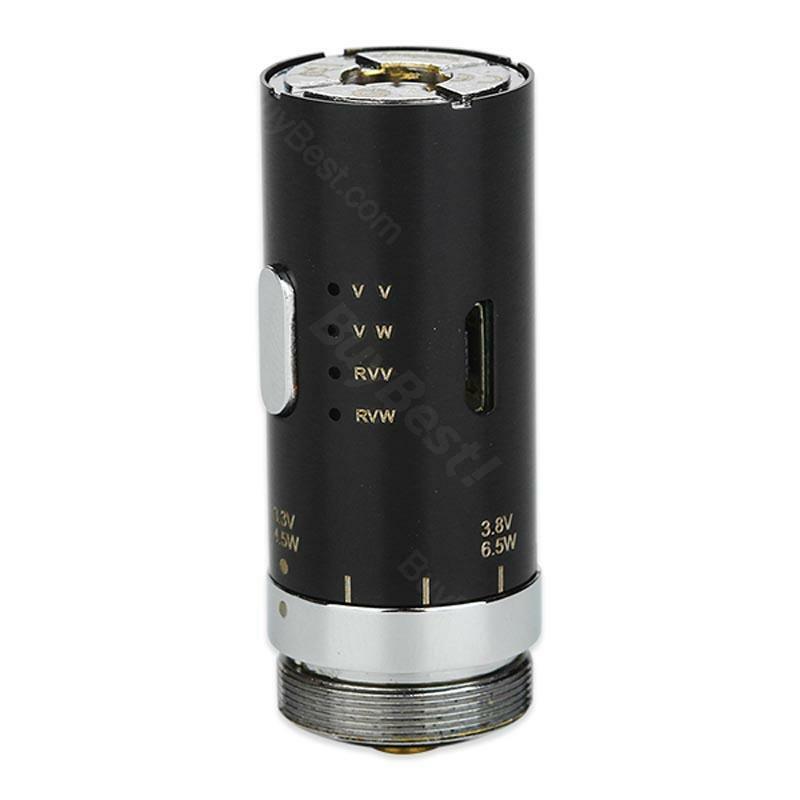 Joyetech e Mode Control Head is what brings the product together and makes it the eMode. The main button and voltage regulation ring also control the running of the eMode. Joyetech eMode Head is what brings the product together and makes it the eMode. The main button and voltage regulation ring also control the running of the eMode. Przesylka has come after 16 days of order, super, recommended. The goods were no longer in stock, so hurry and purchase this item. Super Geschmack allerdings nicht der klassische Tröpfler - auf Lunge muß man sich schon anstrengen. Erstaunlich guter Geschmack für diese riesen Kammer. Just wondering if you were going to do a review on the Joytech eGo AIO... Would really like your opinion on which of the 2 coils available for it you like better, the .5 ohm or the .6 ohm.. This thing is awesome, really nice feel in hand and mouth, great airy taste. It is really good built, quality is great and the size is perfect for every day use. Highly recomended ! Joyetech eMode Control Head is the core of eCom kit. High voltage, high output and large vapor are all available on eCom due to its new atomizer C2 head. It remains the transparent e-juice window. Joyetech eMode Control Head enables access to multiple modes and option when connected to a computer. It has a 360 degree regulation ring with a battery indicator. It has a four power modes. The indicator displays which mode you are vaping at. Bought the head for joyetech tank. Joyetech Control Head for eMode is what brings the product together and makes it the eMode. The main button and voltage regulation ring also control the running of the eMode. Joyetech Control Head is what brings the product together and makes it the eMode. The main button and voltage regulation ring also control the running of the eMode.